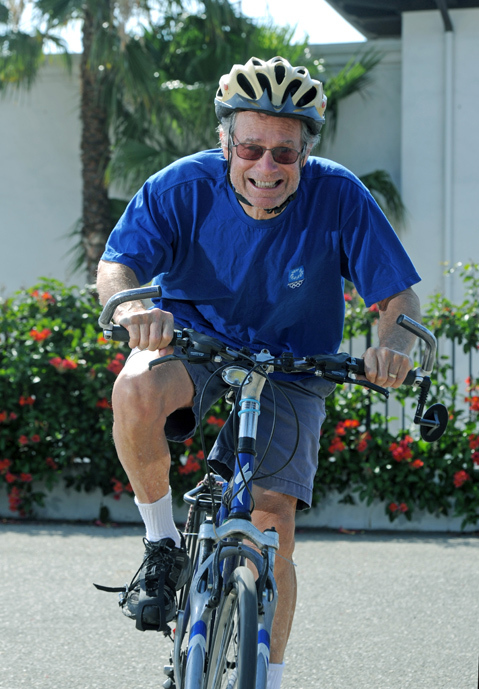 BIKING TO HIS BEAT: Our resident sportswriter John Zant has tended to focus more on balls than wheels in his nearly 45 years of reporting on the region’s top athletes — including 38-plus years at the News-Press before joining The Santa Barbara Independent in March 2007 — but he knows his bicycles, having been a two-wheeled commuter for much of his life. “My most impressive cycling ride was going 15 miles to Carpinteria for a hot dog,” said Zant, who delivers a rundown on the Amgen Tour of California starting on page 25. “I’m pretty much in awe of these guys who can go 100 miles one day and then do another 100 the next day.” Learn more about commuting yourself by celebrating CycleMAYnia this month and visiting cyclemaynia.ning.com.